Rejon Taylor-Foster had nowhere to go. It was May 2014 and Taylor-Foster, a developer, game designer and teenage founder of the digital production studio Maximum Crash, had a problem. His freshman year at Becker College was over, his home in Mount Vernon, New York, lost to neighborhood gentrification. His options were limited, his drive was not. His requirements? Credit the family of Taylor-Foster’s friend Jeff Reiner for providing the corner, the outlet and an air mattress at their home in Burlington. Taylor-Foster took care of the rest. Coding, or programming, was not just a way to make money. It is a way for Taylor-Foster to improve his skills, which are considerable, to create a better life. 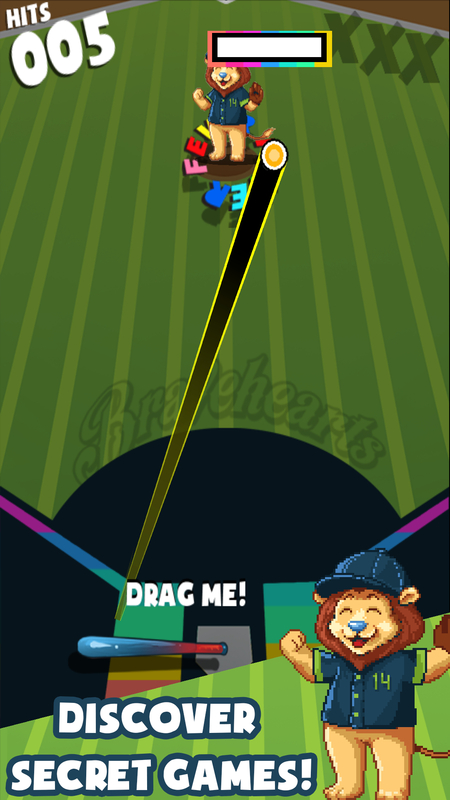 Those skills are on display most notably in Bravehearts Derby, an app developed for the Worcester Bravehearts. 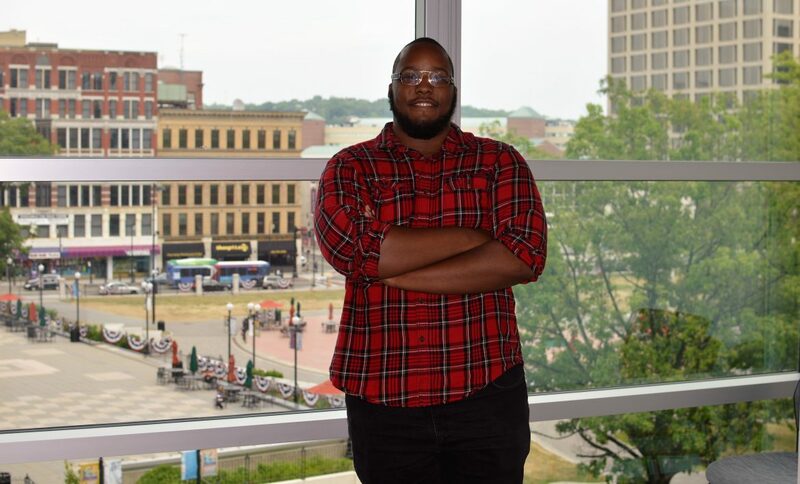 Taylor-Foster created the original game upon which it is based and led a team of enterprising students in creating a slick, enhanced version for the city’s hometown team. He started developing his first game during his senior year of high school. His interest in game design put him on Becker’s radar. Taylor-Foster got a taste of success in his freshman year when he and friends Benny Rodriguez and Austin Campbell designed Paracentric, a role-playing game, during Becker’s 24-hour Game Jam. To their surprise, the game was downloaded 400 times. As a sophomore, he developed F Mode in just three hours. It made $70 when he released it for PCs. “I said, ‘Wow, if this is what I can do in three hours, what can I do in one hour, or one day? So I started to test myself.’ ” He spent a week converting it for handheld devices and picked up another 300 downloads and a four-star rating. Buoyed by the success of F Mode, Taylor-Foster started a new project the very next day. Little did he know the impact the project would have on his life. The game was Starlot Derby. The name? He liked home run derbies, baseball fields are sandlots, and everyone wants to be an all-star. He finished the game, showed it to his professors and was introduced to Monty Sharma of the Mass. Digital Games Institute [MassDiGI] at Becker College. “It was impressive for a sophomore,” said Sharma, who suggested entering the game in the MassDiGI Challenge, its annual game challenge in Cambridge. Taylor-Foster continued developing the game while working the 7 p.m.-4 a.m. shift at Domino’s and going to class at 7 a.m. He finished the PowerPoint presentation at 3 a.m. the morning of the challenge and boarded a bus to Boston. A one-man band in an environment in which most games are pitched by teams of up to five people, Taylor-Foster tried to be realistic about his chances. Starlot Derby won the College Beta/Near Release category. 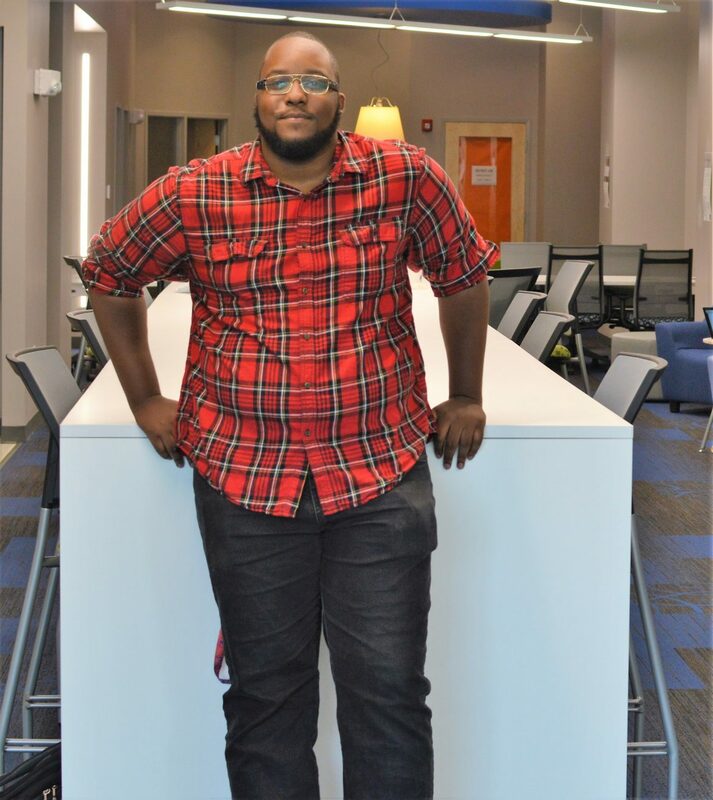 Exposure aside, the win earned him a spot in MassDiGI’s Summer Innovation Program last year at Becker to work with some of the most talented game designers in the country. And, yeah, he now had a place to stay. It was during the summer program that Timothy Loew, founder and executive director of MassDiGI, brought in Bravehearts General Manager Dave Peterson and mascot Jake the Lion. The goal of the meeting was to come up with an idea for an app the Bravehearts could use to interact with their fans. It didn’t take long for Loew, Sharma and Taylor-Foster to realize that a new version of Starlot Derby might fit the bill. For Sharma, that meant a quick update of graphics. Taylor-Foster was having none of that. Taylor-Foster recruited other students in the program for this new side project and started over. After being in the lab 9-5 for Hibachi Hero, “I would stay until midnight working on Bravehearts Derby. I would go home, and wake up to do it all over again,” Taylor-Foster said. 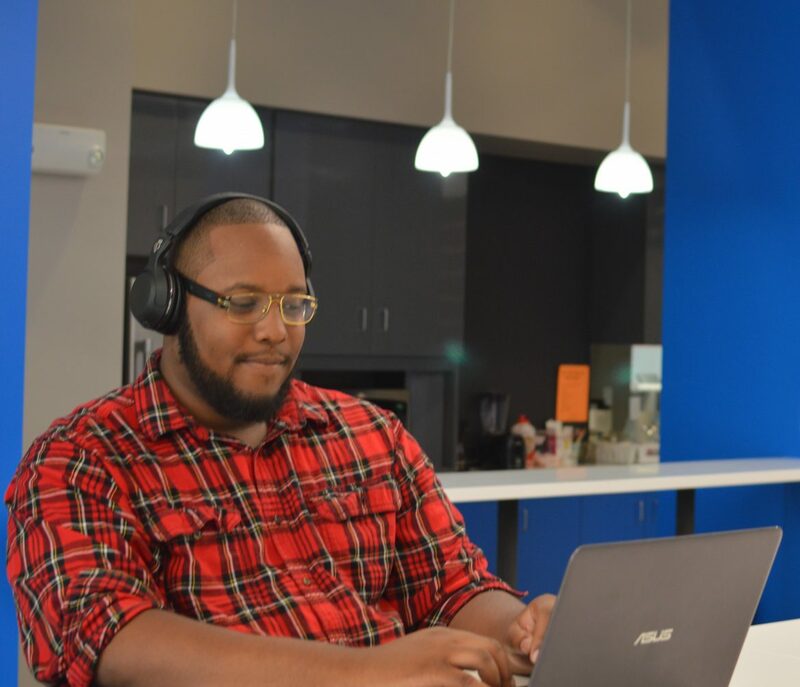 In April, Maximum Crash was named a winner of StartUp Worcester, a partnership between the Worcester Regional Chamber of Commerce, Running Start and The Venture Forum. The initial app, released on Taylor-Foster’s 21st birthday, was a contract between the Bravehearts and MassDiGI. But the Bravehearts have a deal in place with Taylor-Foster and his Maximum Crash studio for maintenance, updates and improvements. Bravehearts Derby (available for iOS and Android devices) will be on display this week as the Bravehearts host the Futures Collegiate Baseball League All Star Experience Wednesday, July 13. Maximum Crash will be there too. He wants to turn Starlot Derby into a franchise: tennis, hockey, basketball, golf, boxing and bowling. He’s working on a sequel called Starlot Derby 2. All while preparing to go back to school and working as a digital media specialist at Victory Productions in Worcester. For his part, Sharma thinks Taylor-Foster’s drive is good, to a point. But he sees a bright future for the budding entrepreneur. “Rejon has the personality,” Sharma said. “He’s going to be an entrepreneur. He’s not going to work for somebody. Rejon Taylor-Foster at Worcester Sun headquarters recently. Drive, personality and perspective are the keys to Taylor-Foster’s success. “If I was to give advice to somebody coming to Becker right now, it would be start now. Like right now. Any age, anybody. There are so many tools out there, so many free things out there. The world is your oyster. “The internet is so powerful. They have these communities, they have these tools, they have these tutorials on how to do everything on the internet right now. To somebody getting into design that’s afraid of programming, I’d say don’t be afraid. Do the things you don’t like, because it’ll make you a better person overall. That’s how you become a 21-year-old game designer developing a bright future.